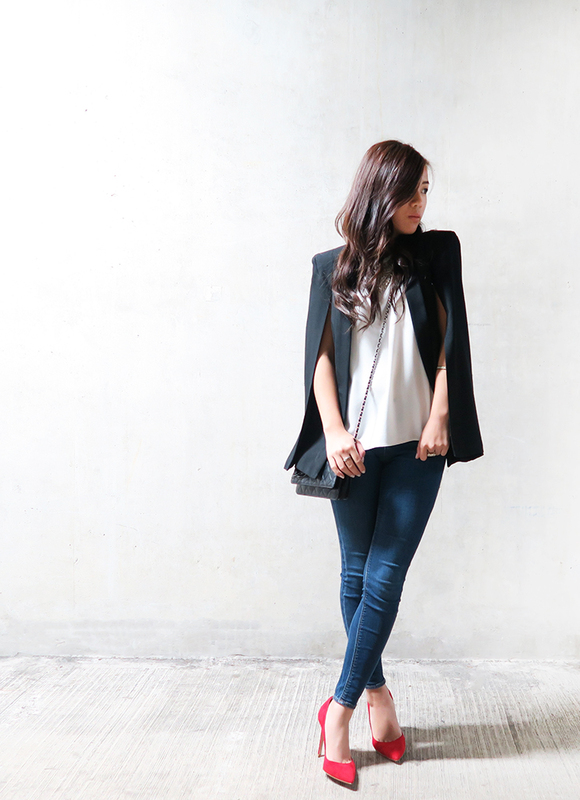 I have been in love with Cape Blazers ever since I saw Shay Mitchell debut hers on Pretty Little Liars. I am a huge fan of blazers and I pretty much wear them on a daily basis, so I knew I had to get my hands on this little number! Personally, I think my style is undoubtably basic, however I always think that less is more; by combining simple items and letting my accessories do the talking. Also pairing this outfit with some statement heels really amplifies the whole look. The Cape look seriously gives you instant Chic Factor! An amazing transitional piece for Autumn, great for mild sunny days and dresses up a plain ole’ look! Smart with Style! I hope you guys enjoyed this look! I have been on the look out for a Cape Blazer and I’ve finally found the one for me! I love matching casual and smart together so with this; it gave my look a new twist, there is just something so elegant about the Cape! Wow another stunning and chic look hun, can I have your wardrobe please?! The classic colour palette really compliment each other and you got your posing down girl! Cape Blazers! That's what these are called, now I know what to google haha! I love how it instantly dresses up the look way more. I feel like it would work really well over sweaters too! 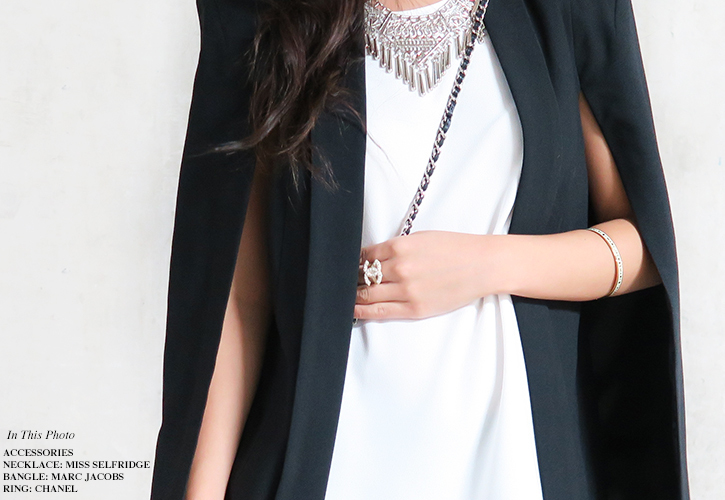 I am also SO obsessed with cape blazers – this one is perfect!